Since 2005 he has been leading workshops and giving lectures in Europe and US about e-waste and hardware hacking. 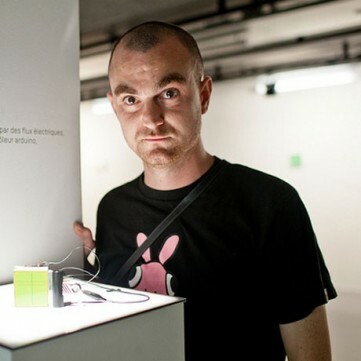 In 2011 he created the Recyclism Hacklab – a collaborative workspace focused on contemporary DIY and hacking practices. Within this multidisciplinary space he facilitates and teaches both workshops and mentoring sessions in physical computing, hardware hacking and 3D printing. The Recyclism Hacklab provides a wide range of creative practitioners an informal environment where they can engage in critical making, and receive support for self directed research and autonomous learning.